Last summer, the Mr gave me a surfboard (above) for my birthday, hoping that we could share one of his favorite pastimes. He had taken me surfing a handful of times over the years, but having my own board got me so excited to really learn. After a few slightly terrifying episodes getting tossed by waves (I’m a total wimp in the ocean), he thought it might be best to downgrade me to a less advanced board – this year’s birthday gift. 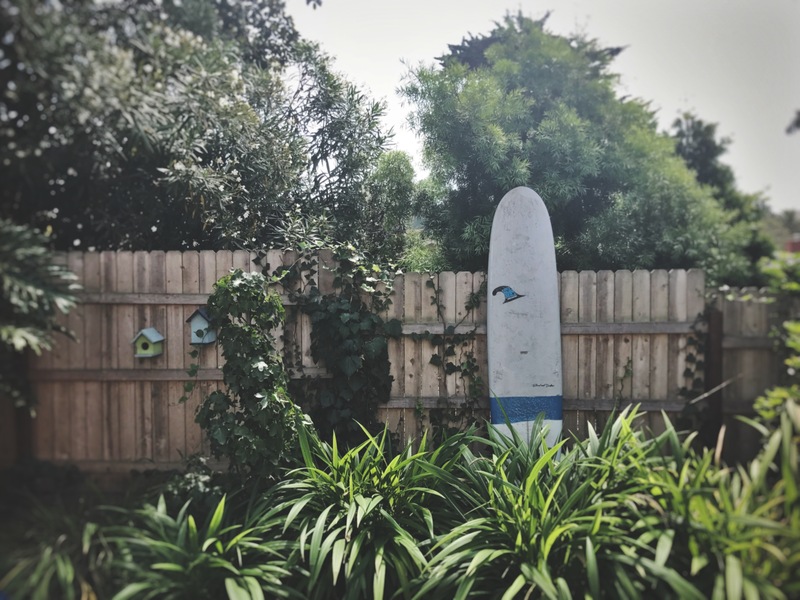 Years ago, I think part of my motivation to learn to surf came from the desire to be viewed as a tough girl, who could hang with the guys and fearlessly conquer the ocean (although if I’m completely honest, I’m more of a bask-in-the-sun-while-enjoying-my-book-type of person). But now my intention stems from wanting to spend time with my sons as they grow, doing something they might end up loving as much as their dad. I love that my husband is always dreaming up ways to get our little family out of the house and into adventure. In this season of life, “adventure” looks like a night of beach camping, juggling pack-n-plays and sand toys, and making sure we have enough ice to keep the milk cold. One day when the boys are older, adventure might mean road trips up the West Coast, or surf trips to South America. And when those adventures come, I want to be out there in the water with them – talking about life and getting to know them in a deeper way – instead of sitting on the beach with a book.